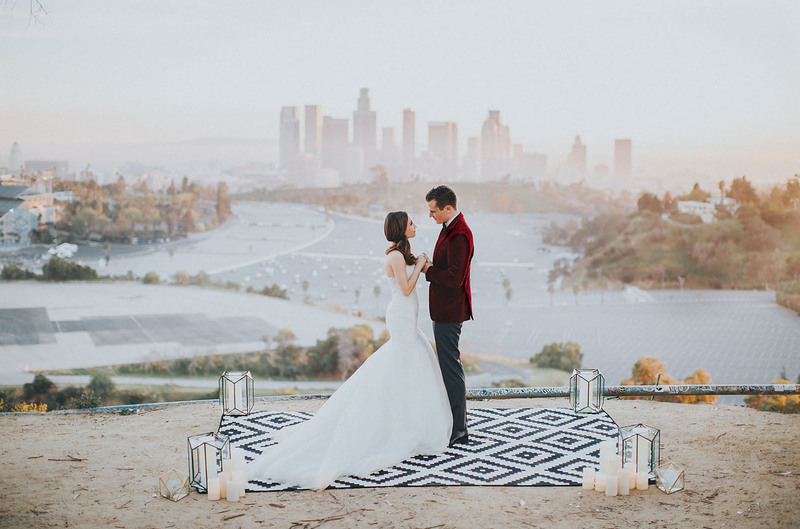 When vendors + friends, photographer, Georgie Carlos, and planner, EnamorEileen, decided to team up to give away an elopement package to a lucky local LA couple, they had a vision for an urban, modern vow exchange overlooking the downtown Los Angeles skyline, just above Dodger Stadium. 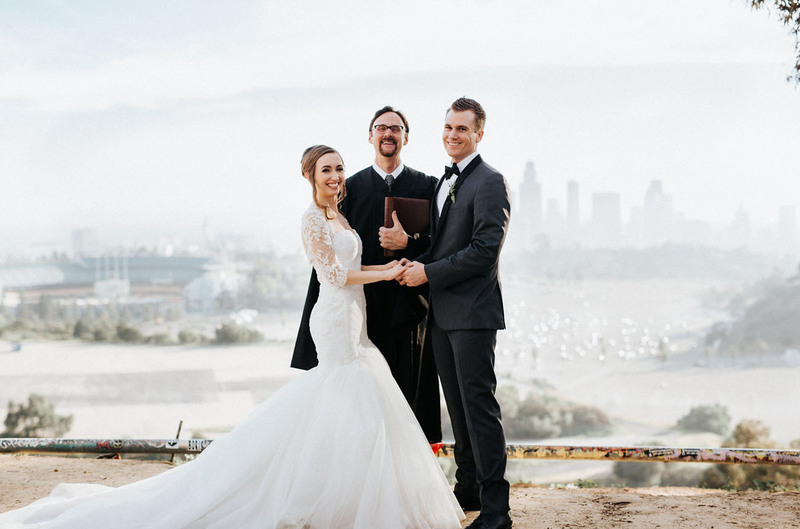 While many couples entered, Ella + Morgan were the lucky winners and they said their I Dos with just their parents in attendance and the beautiful city sparkling below. E + M say, Our vision was to capture everything on the day of our marriage. So we did just that: the evening before we had a delicious dinner together. After we wrote our vows and placed them in envelopes to be revealed the next day, the day of our marriage. Our elopement was very intimate with only our parents present. 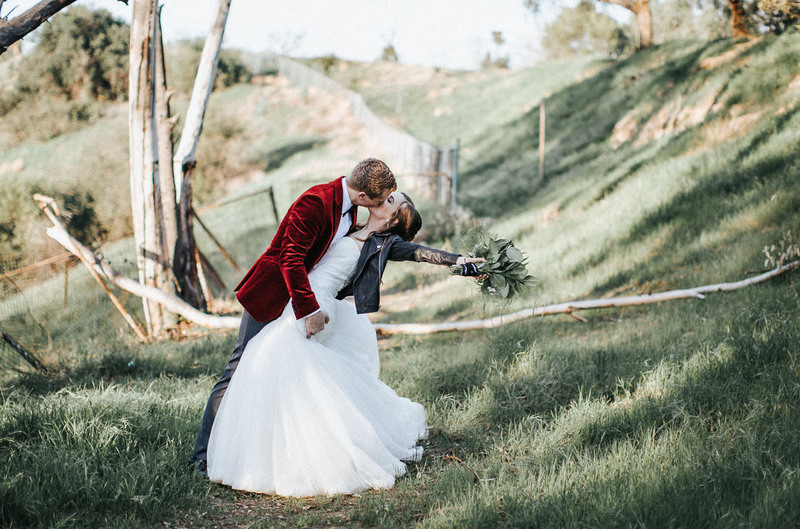 For us, by choosing to have an elopement we choose to have our wedding day just about the two of us with little to no distractions. Every moment was very memorable, we will never forget. We were so blessed and happy to have our parents (both sides) fly in from Seattle and Sacramento to be there and share it with us. 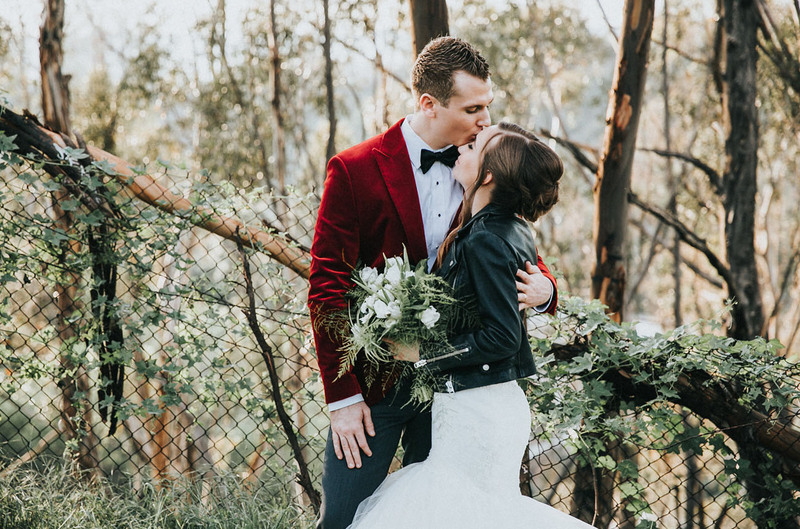 The moment that stands out to both of us is our ceremony and when we said "I do" with our first kiss as husband and wife. We wanted our day to be about us and have full ability to focus on our commitment and each other. 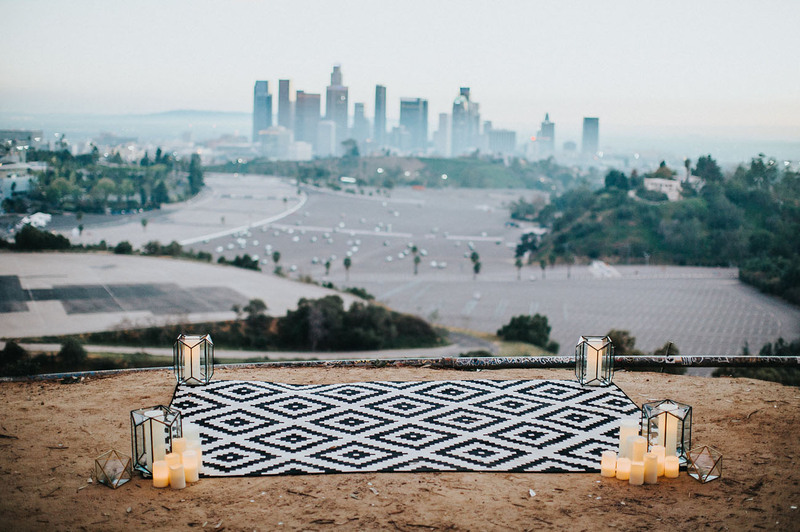 We could have our ceremony anywhere we liked. 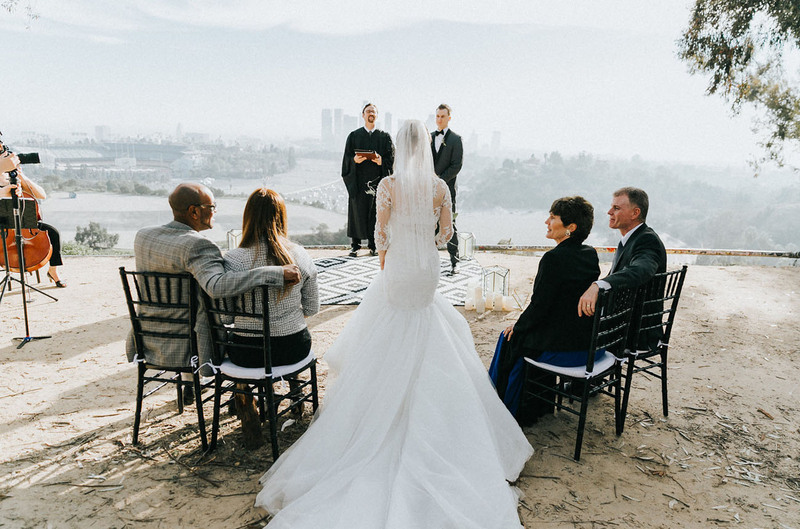 Our ceremony was in a beautiful park overlooking the skyline of Los Angeles City. 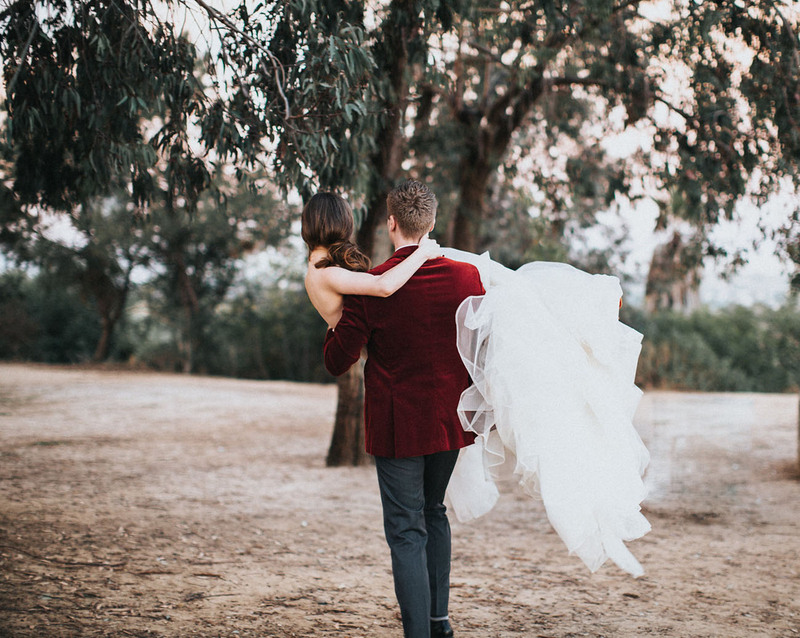 Our plan was to start our marriage on strong financial foundation without feeling the pressure of wedding cost and possible debt. Instead of spending thousands of dollars on one day, we decided to invest finances into our future family. This was a mutual agreement and we both felt it was the right decision for us. We also agreed to include important aspects into our elopement and not compromise on quality of our big day. 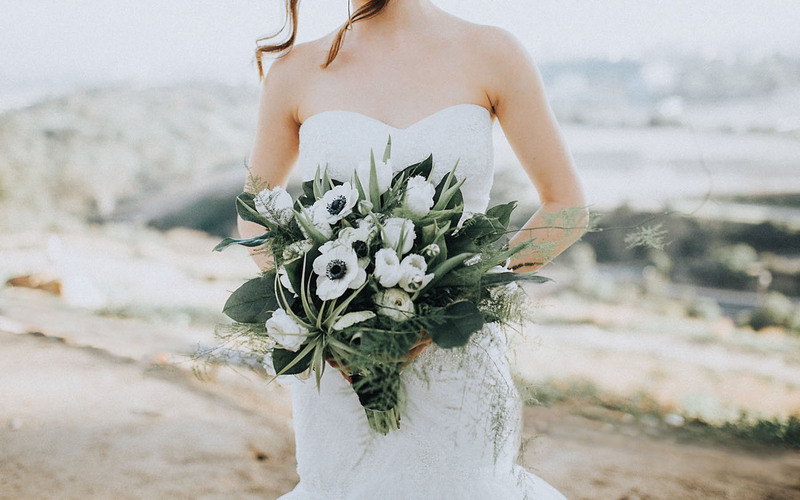 We love Ella’s pretty green + white bouquet by The Plum Dahlia. 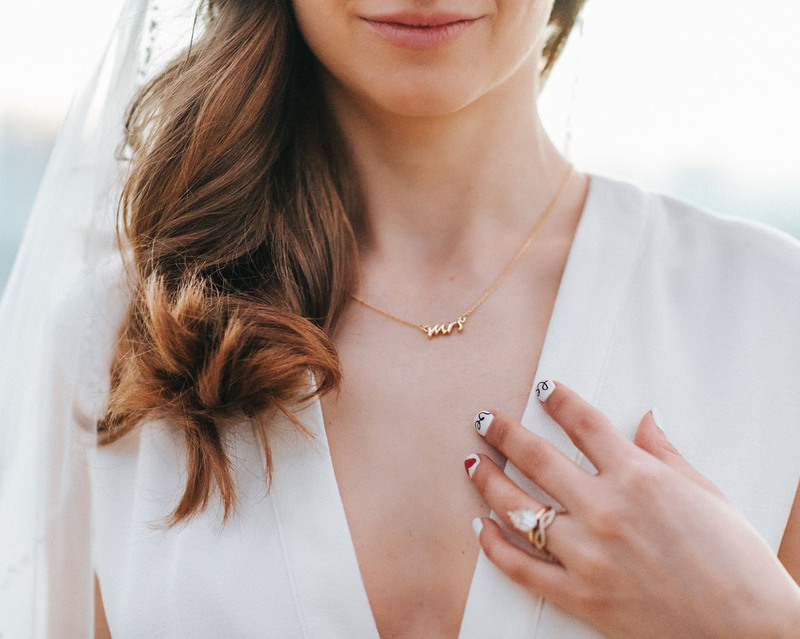 Such a fun necklace + adorable, festive nails! See even more in the beautiful film below by Augie McCue! 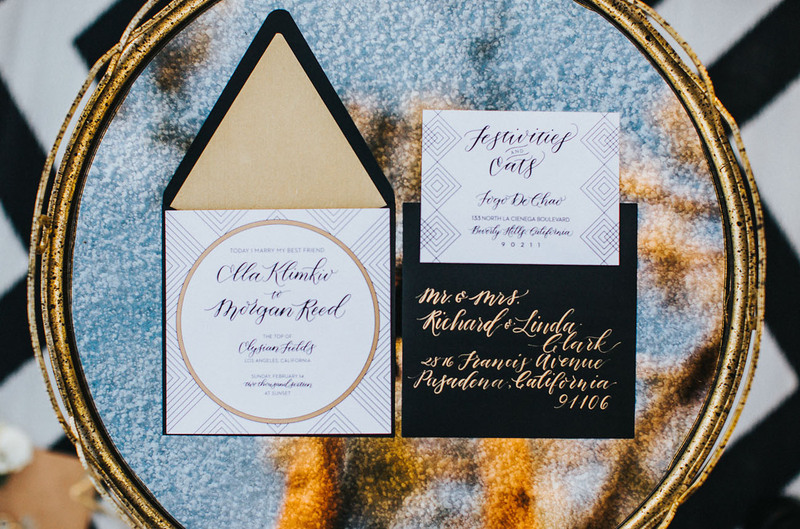 Planning a wedding requires ample time and energy. Many important decisions must be made and we were very intentional in avoiding tension and feeling of being overwhelmed. I remember (bride) even thinking about planning a big wedding would give me a headache. 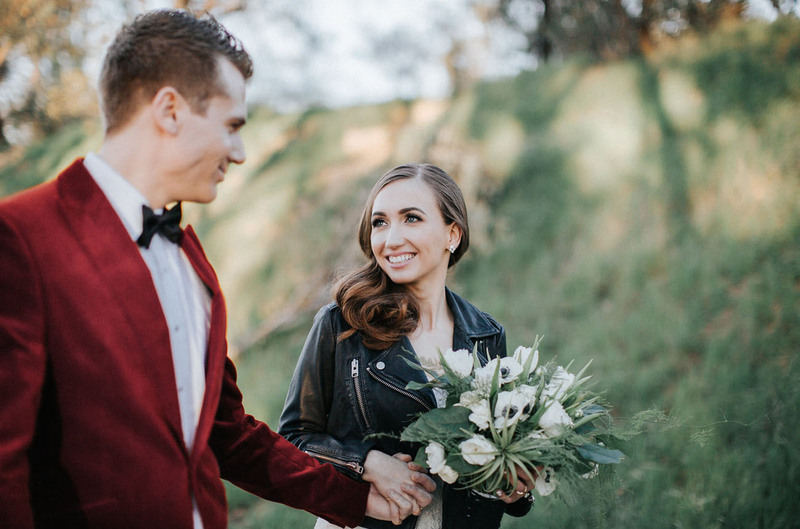 When we decided to elope, my fiancé (Morgan) gave me complete freedom to create the elopement of my dreams. Also what I have discovered in the process Morgan (the groom) was involved in every step and was very helpful. Simply put no hassle and little expense, we both had a good feeling about it. Cool photoshoot, looks so cinematic with the city of LA in the back ground. 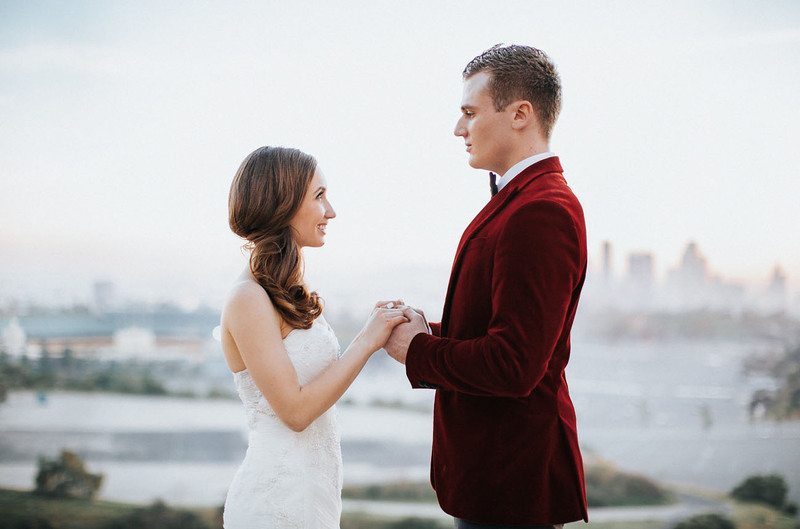 Okay, this elopement is my favorite one I’ve ever seen on this site. 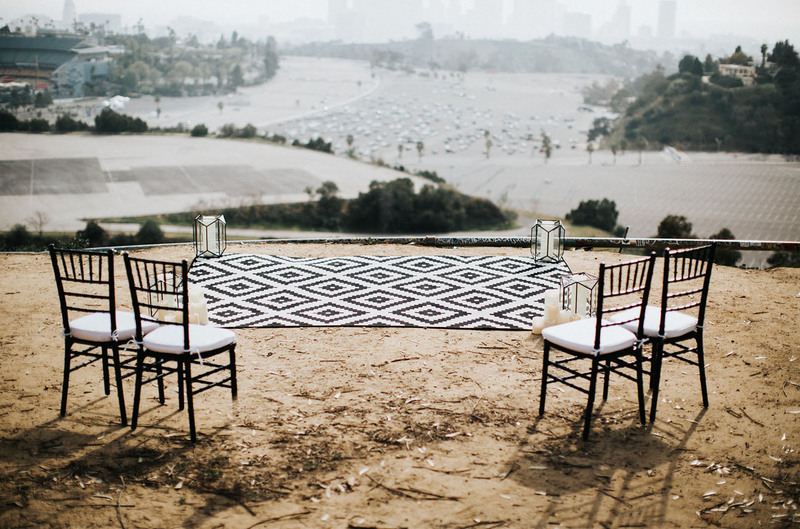 These photos are awesome, and that view is breath taking! Thank you for featuring our work! 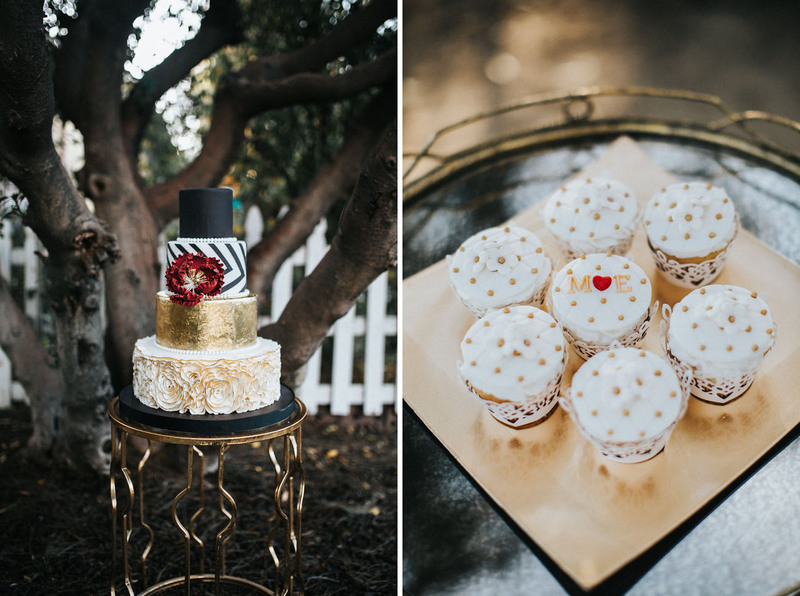 We had a ton of fun working alongside this couple and blessing them with the wedding of their dreams! 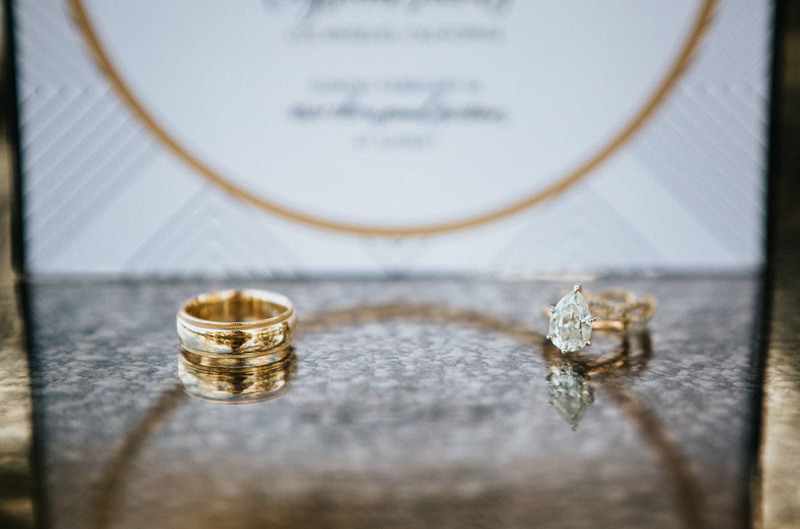 wow, breathtaking images, and what a place to get married! Beautiful couple! 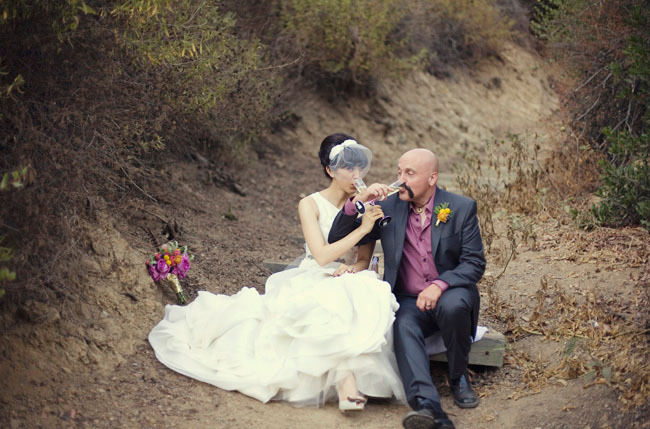 Now I have more ideas for my intimate wedding next year! I also saw some ideas on http://alecandt.com thank you so much for share.